Care about results and care about people simultaneously. Talk the talk; walk the walk. Mistakes are necessary – fail forward. After close to 2 decades in the construction industry I am certainly no stranger to the “f” word. Let’s talk about FEELINGS! Wait, what ‘f’ word did you think I was talking about? Having spent the last 10 years, curiously exploring leadership I am convinced that we need more feeling in leadership. Empathic leadership is how we are going to increase diversity, build inclusive teams and engage in our work! I’m on a mission to disrupt the default and to add feelings to back into leadership. As some who identifies with both the divine feminine and an empath, I wasn’t always aware of what drew me to engineering or construction. Having grown up on a farm I realize now that the industry I chose to build my career in felt a lot like going home. Engineering and construction relies on teamwork, integrity and trust to bring big dreams to reality. The tangible results of our efforts is the legacy left behind for years to come. My ability to cope with my feelings in the first 10 years of my career looked something like this. Ignore for as long as humanly possible. Vent to anyone who would listen but who couldn’t EVER do anything about my situation. Focus all of my attention and energy outwardly, usually blaming others and making excuses. End up in tears, in front of my colleagues and peers, embarrassed and filled with shame. Dust myself off, push the feelings away and carry on. Repeat cycle … over and over again. In between these emotional eruptions I discovered that I was actually a pretty good leader. I could build relationships, deliver projects, meet deadlines, build trust and rapport with ease, inspire others AND I noticed that I was actually having fun doing all this. And then, at the most unsuspecting moment, it would happen again. Blindsided by my feelings. You see there is only so long you can ignore and push your feelings away – like a boomerang, they find their way back to you! If only I could ‘get a grip’ on these damn feelings! Here’s the catch – I didn’t know what I didn’t know. I didn’t know that there was another way, people who could help and actions I could take. I didn’t know there were skills I could learn, awareness I could build and strategies I could rely on to change this pattern. I was never offered another way. I honestly thought I had to fix this very broken part of me. I thought if I was going to make it in my career I needed to figure out how to get rid of my emotions and stop feeling so much. The turning point for me happened while I was sitting at yet another a conference, listening to the speakers delivering messages about how there wasn’t room for emotions in leadership and how crying at work was a career killer. At first I started to have defeating thoughts, buying into their position and I started to tell myself there wasn’t a place for me in leadership. Except I didn’t get very far with this conversation with myself. This time something different happened. I found myself feeling something that felt a lot like anger. And the more I sat with that feeling I discovered what I was feeling was a deep hunger and desire to lead combined with a knowing that I was simply misunderstood, not ineffective. And so I began exploring and learning through therapy, coaching, leadership development books, mentors, sponsors and peer support conversations which have become a consistent and regular part of my life. During this time a rather odd and unexpected thing happened. The more I learned about myself, my feelings and what I could do to fix them, the more I came to understand exactly how much power and intelligence there was in my feelings. I also came to understand that rather than fixing them, I needed to listen to them. What could really set me apart as a leader was leveraging my feelings and the feelings of those I led. Ironically, my superpower is that emotional side of me – the one I had been trying to hide for so many years. Tapping into and understanding my own feelings along with those around me is what permits me to see, honour and connect with others – empathy is exactly why I am an effective leader. The ability to feel our emotions is our own built-in navigation system – our GPS – that can guide each of us into our power as leaders. Just like Siri or Sam, or whatever name you have for the GPS in your car or on your smart phone, your emotions will guide you on your journey. If you listen closely, your feelings will tell you how to get to the destination you desire. Acknowledge that there are feelings around the situation, person or decision. Spend time to explore the feelings – journaling or a conversation with a trusted source is my usual go-to way to explore my feelings. Engage those involved in a conversation to explore their feelings. This step should only happen once you’ve sorted out your own feelings or you will find you may be triggered in the conversation and become blindsided once again. Focus my attention and energy on what I can control and what I can change. What situation, person or decision are you facing right now that is emotionally charged for you? Can you name all of the feelings you have? Can you identify the effects these feelings are having on your physical body? Can you hear the whispers of your soul and the direction in your heart? If you are struggling with any of these questions I encourage you to implement the steps I’ve found to be helpful. Focus your attention and energy on what you can control and what you can change. You know the way forward, you need to let your intuition and your feelings, guide you. There is room for emotion in leadership in fact – it’s necessary. Open yourself up to your feelings and the feelings of those around you and explore with curiosity. You have everything you need to navigate your journey and reach your desired destination. This book presents thoughtfully crafted concepts of empathetic leadership which is validated by personal discovery and experiential affirmation in the workplace. Ideas are clearly articulated and explained, with application opportunities provided. 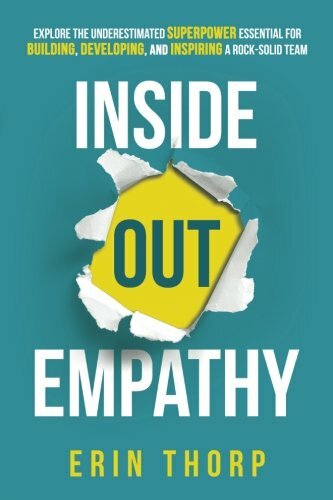 Get your copy of Inside Out Empathy: Explore the underestimated superpower essential for building, developing, and inspiring a rock-solid team on Amazon today! Erin is a professional engineer, project manager, author, & coach. Not one to back down from a challenge, she has been disrupting the default her entire life. After being told to ‘“fix her emotional self” for the better part of her career, Erin set out on to learn how to harness the power of empathy and use it as an effective tool to lead high performing teams. 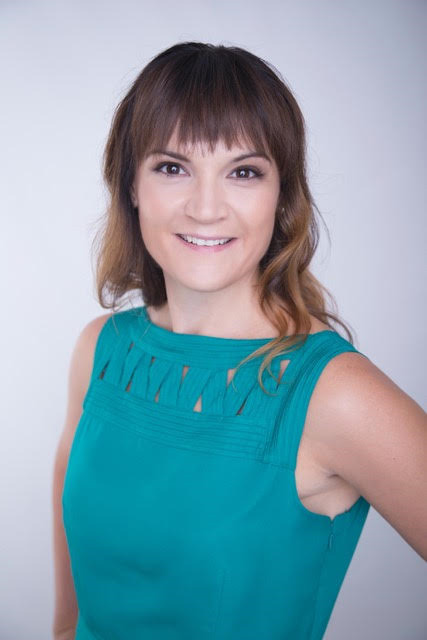 Based on her own experience and training, Erin is passionate about teaching, mentoring, and coaching others to embrace their emotions, connect with empathy, and deeply engage the people they lead. She believes that the very foundation of building inclusive, diverse teams is to recognize, celebrate, and leverage our differences. 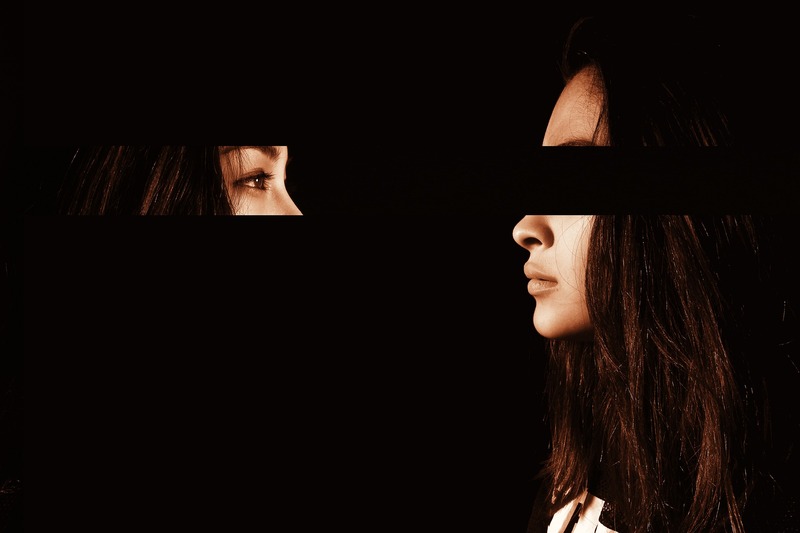 Her recently published book “Inside Out Empathy: Explore the Underestimated Superpower Necessary for Building, Developing, and Inspiring a Rock Solid Team is a call to action to bring empathy and feelings to leadership. You can find out more about Erin, her work in the world and opportunities to collaborate by visiting her website at http://www.erinthorp.ca. Next What Happens in a Coaching Session?